Portmore United captain Ewan Grandison (right) receives the Red Stripe Premier League trophy during the presentation ceremony at the National Stadium on Monday night. 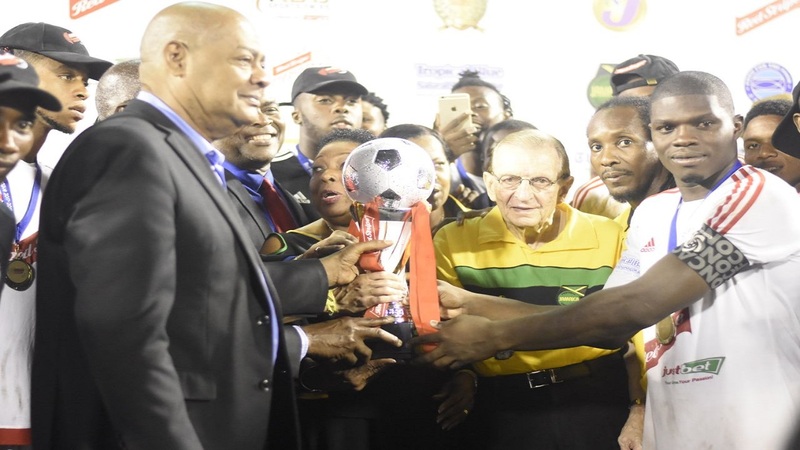 Also in the presentation party are President of the Jamaica Football Federation Michael Ricketts (left); Sports Minister Olivia Grange (partly hidden, 2nd left) and Edward Seaga (2nd right), Chairman of the Premier League Clubs Association and a former Prime Minister of Jamaica. (PHOTO: Marlon Reid). Portmore United won the 2017-2018 Red Stripe Premier League on Monday night after they defeated Waterhouse 4-3 on penalties in the final at the National Stadium. After 90 minutes of regulation time and 30 minutes of extra-time, both teams had battled to a 0-0 deadlock. The win handed Linval Dixon-coached Portmore United their first title since 2012 and sixth overall and denied Waterhouse a third. The night truly belonged to goalkeeper Kemar Foster who made two saves during the penalty shootout to lead Portmore United to the title after they failed at the final hurdle in the last two seasons. 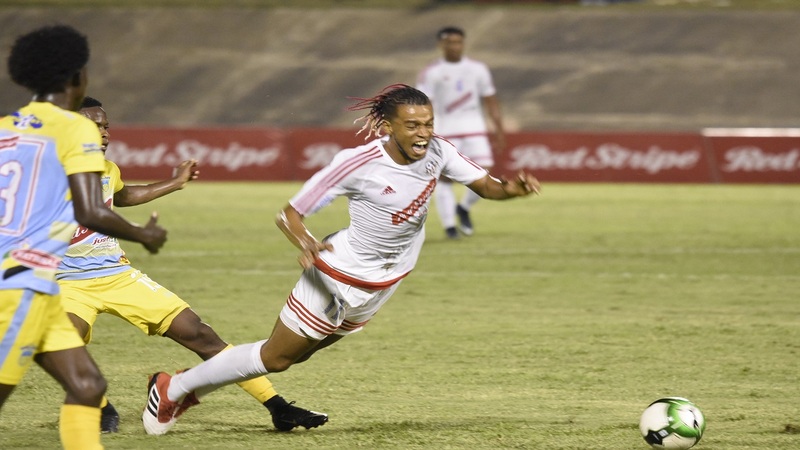 Foster gave Portmore United the advantage when he saved Kemar Beckford's penalty, which was the first kick of the shootout. He returned to hand Portmore United the championship trophy by saving Carlos Barrett's penalty, the final kick for Waterhouse. Cardel Benbow, Allan Ottey and Tremaine Stewart scored for Waterhouse, which were searching for their third title after winning the 1997-1998 season and the 2005-2006 season. Ewan Grandison, Roberto Johnson, Damono Solomon and Jermie Lynch scored for Portmore United. Two of six Premier League titles came when the club was based in Clarendon under the name of Hazard United, and they won the 1992-1993 and the 2002-2003 seasons. After winning the Premier League title in 2003, Hazard United switched allegiance to the St Catherine Football Association and changed their name to Portmore United and went on to win the Premier League title in the 2004-2005 season, 2007-2008 season and the 2011-2012 season. Apart from the RSPL Trophy, Portmore United walked away with $2.5 million dollars to add to the $1 million the club won for topping the preliminary stage of the competition. 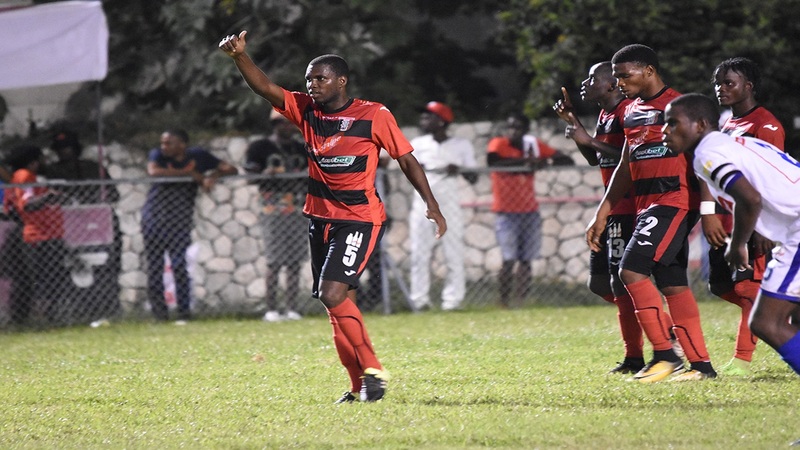 The Linval Dixon-coached Portmore United compiled 66 points to win the preliminary stage, 15 clear of second-place and defending champions Arnett Gardens. The first first half of the match was a cagey affair with both teams failing to distinguished themselves, with the weight of the final preventing them from playing free-flowing football. Portmore, however, kicking towards the sea, went closest near the end of the half, with Waterhouse having to make a hasty clearance off the line, after a free-kick from the right caused them some discomfort in their area. With the game on the line, both teams came to life in the second half and entertained the thousands inside the the stadium with a bit more attack. Waterhouse should have taken the lead early in the half, but Andre McFarlane fired against the left upright, after getting around the Portmore defence. They received another chance to correct that minutes later, but Tramaine Stewart skied his shot from just inside the 18-yard-box, after Kemar Beckford had broke down the left flank and crossed inside to him. Waterhouse kept the early pressure up with Portmore United having to make another hasty clearance off the line, after Foster was beaten. Portmore United would eventually settle and turned the game into a competitive encounter with most of the action mainly in the middle of the pitch. Waterhouse had most of the attacking plays in the first period of extra-time, but failed to convert them into real scoring opportunities. The situation was similar in the second period. 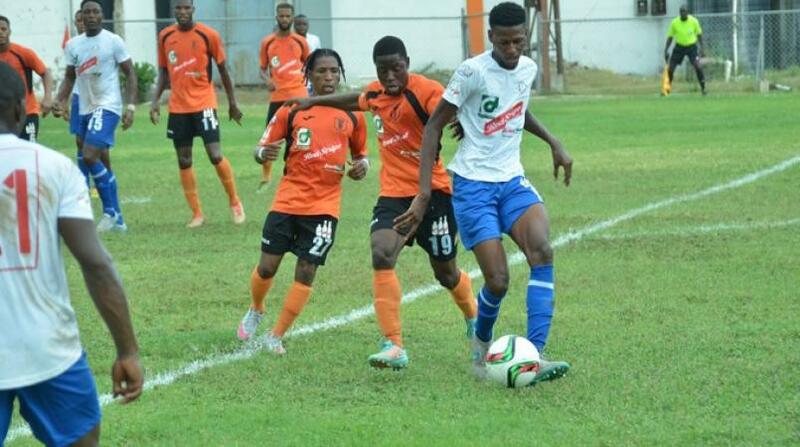 It was the third time from four games this season that Portmore United had beaten Waterhouse. Portmore United's other victories against Waterhouse came away on October 15, 2017 (5-0) under coach Glendon ‘Admiral’ Bailey and on December 13, 2017 (2-1) with Donovan Duckie at the helm. That 2-1 defeat came just over a month after Duckie took over the position of head coach, which was left vacant by Bailey. Waterhouse's only victory against Portmore United, a 1-0 scoreline, came on March 1 - four months after Duckie took over coaching duties.